Set to be the third installment of DC Comics&apos; already successful extended cinematic universe, Suicide Squad will see the DC Comics bad guys join forces to actually do some good. The movie boasts a star-studded ensemble cast including Will Smith as Deadshot, Jared Leto as the Joker, Margot Robbie as Harley Quinn, Viola Davis as Amanda Waller, Cara Delevingne as Enchantress, Joel Kinnaman as Rick Flag, and it&apos;s is already set to have a sequel. 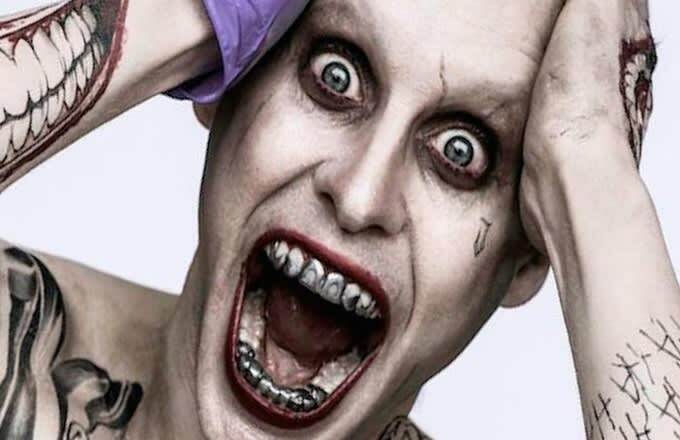 In an interview with Total Film, director David Ayer praised Jared Leto’s haunting performance as the Joker. It must have been challenging for Leto to follow on from Heath Ledger’s legacy in Christopher Nolan’s The Dark Knight, but according to Ayer, Leto’s portrayal makes "the hairs stand up on the back of your neck," adding his own spin to it to make it as powerful in a different way. "What Jared has done is absolutely incredible," Ayer continues. "When he steps onto the set the world stops. Everything stops. What he’s done is so powerful, so menacing, so palpable, you can feel him. The crew stops working and just watches him. I have to get everybody going again because he’s so fascinating." Leto, who won an Oscar for his portrayal of trans woman Rayon in Dallas Buyers Club, has spoken at length about the challenges of the role, telling Billboard that "the opportunity to take on this nearly Shakespearean character—that’s what graphic novels and comic books are becoming, right? [He&apos;s] this beautiful disaster of a character—what a big challenge." Watch the Suicide Squad trailer below.